Can the Statute of Frauds Impart More Transparency into the Art Trade? 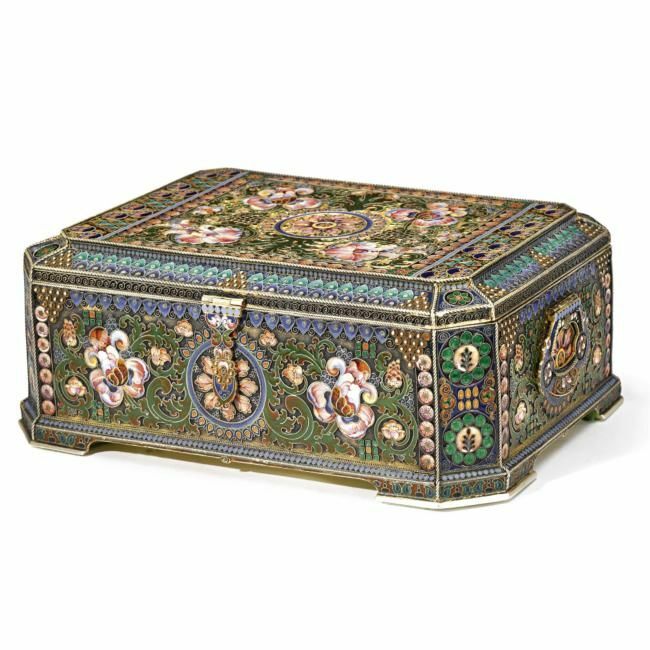 A recent ruling in the New York State court, Appellate Division, has caused quite a stir among folks who follow the art trade. There has been some initial speculation among observers of the art trade that this ruling may cause the trade to meaningfully shift the way it does business and impart much-needed transparency into the sale of art. Unfortunately the shift is incremental only, and will not in itself change the way the art market does business. Larry Rothfield hopes the ruling “will give policymakers a reason to start thinking more carefully about how that market could and should be regulated in ways that do the most possible to prevent looting of archaeological sites.” Paul Barford similarly thinks about what this might mean for auction houses and the “old argument that the collecting history has been lost can no longer be believed by those who want to shut their eyes to freshly ‘surfaced’ (from ‘underground’) material.” In reality though, the likelihood that this ruling will have much of an impact on the art trade or the antiquities trade generally remains remote. Here’s why. The facts of the case are straightforward. A buyer, Albert Rabizadeh, refused to pay the purchase price for a work of art he won at auction, and because the Jenack auction house failed to comply with the Statute of Frauds, the appellate court in New York has held the contract to be unenforceable. The provision at issue is a New York state law known as the statute of frauds. the term stems from a jolly old legal principle which the English Parliament passed in 1677. The original purpose of the law was to prevent fraud from being given legal effect in certain important agreements. It encouraged contracting parties to reduce their bargain to a writing so as to prevent a 17th century jury from enforcing contracts that had never been made. This provision has now been largely done away with under English law, but survives in the U.S. under the Uniform Commercial Code. Currently the legal safeguards known as the statute of frauds require a signed writing for certain kinds of contracts to be enforced (the sale of goods over $500, the sale of land, contracts that can’t be performed within a year, etc.). 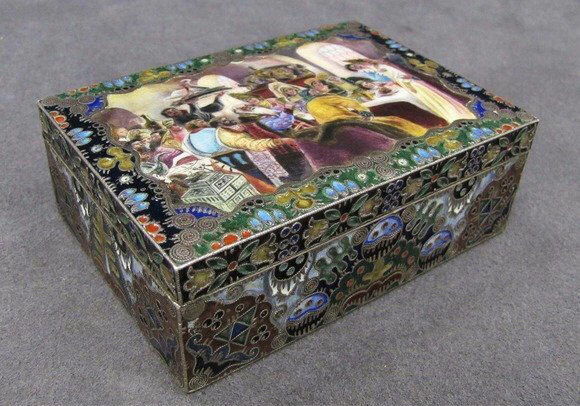 The contract at issue in the dispute between Rabizadeh and Jenack was over a silver and enamel box, a Russian work of art, which was bid for $460,000 including the buyers premium. It might have looked something like this. New York’s state law provision requires that at the time of sale the nature of the property, the terms of sale, the name of the purchaser, and the name of the person on whose account the sale was made shall be entered in something called a sale book. N.Y. Gen. Oblig. Law § 5-701(a)(6)(2012). Both New York and California have enacted these kinds of provisions, and it should be noted these two states surely account for the bulk of the American art market and a substantial share of the world art trade as well. Any changes made to how auctions are conducted in these jurisdictions demands serious attention. General practice in the art trade has been to skirt by and assume that the anonymous number is enough to satisfy the requirement that the seller and buyer are named in writing, and this is the argument the Jenack auction house pressed unsuccessfully on appeal. The New York court held that the consignor’s number (in this case 428) was not enough to satisfy the plain language of the statute. Now the question becomes, does this ruling require auction houses to reveal the identity of buyers and sellers? Yes, but only to each other. From my reading of the decision, only the auction house, the buyer and the seller would know who each other are. And even so, the only time that this requirement of transparency were to be enforced would be if a buyer refused to pay, as happened here, or if there were some other difficulty with the agreement. There may be other creative steps the auction house could take to ensure buyers who do not pay their winning bids can be removed from the auction process. To the extent that the requirement in General Obligations Law § 5-701(a)(6) that the memorandum contain the name of, rather than an assigned number for, the “person on whose account the sale was made” may be at odds with the general industry practice, and may be burdensome to consignors or auction houses or both, a change in the law to eliminate that requirement may be warranted. However, consideration of the propriety of that change is not for the courts, but rests with the Legislature. So we will wait then for this dispute to reach a final result, and wait for any potential action by the legislators in Albany. Should more consideration be given to the role of the UCC and the art trade, this would give heritage advocates an opportunity to revisit the current practice of the auction art market, which would be a welcome change. Finally a quick reply to Tom Flynn, who I’ve never known to have much good to say about lawyers. There’s nothing wrong with that of course, but in this case he badly misses the mark badly. He brandishes a quick indifference to the role of courts and makes the claim that this four-judge panel has dealt a blow to the New York art market and the “judges, largely ignorant of the nuances of the art trade” have done damage here by as he puts it: “sticking their oar in.” If one disagrees with this ruling, the real culprit is the New York state law, which was likely drafted to assist auction houses in using the courts when difficulties arise in an auction. The court merely applied the plain text of New York’s statute of frauds. If one were impolite enough to label anyone ignorant, it would hardly be these judges. If given the opportunity to thoroughly read the court’s straightforward opinion and word his thoughts more carefully one hopes Tom would see that what the New York court has done here is apply the law as it was given to them by the New York legislature. It was the auction house itself which brought suit, attempting to enforce a bid. I can understand frustration with a result, but judges do not simply pick a tree and grab a rope. They apply the law as it is, to the facts as they are presented. Jenack Inc. v. Rabizadeh, 2012 NY Slip Op 6211 (2012). Author Derek FinchamPosted on October 27, 2012 Categories UncategorizedTags Auction, Jenack v. Rabizadeh, statute of frauds, transparency, UCC1 Comment on Can the Statute of Frauds Impart More Transparency into the Art Trade?